Last Call. If you buy this boat before the end of october 2015 you only pay 37000 EUR. 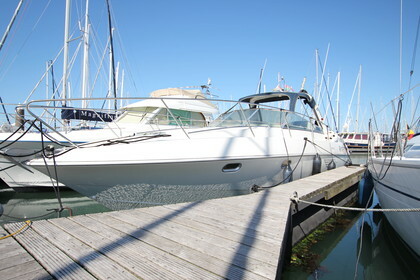 For sale Beneteau Flyer 10 with 2004 twin 230hp Volvo Penta KAD43 turbo diesel engines and low running hours (320 hours). The Volvo Penta engines are from 2004. So for this price you get a boat with pretty new engines and a good looking boat. It has 2 private back cabines which you won't find in any other sportboats. Don't hesitate to contact us. It's located in Breskens and has always been in winterstorage at Terneuzen.